Documents supporting any business activity is crucial to ensure that there is control within the company. 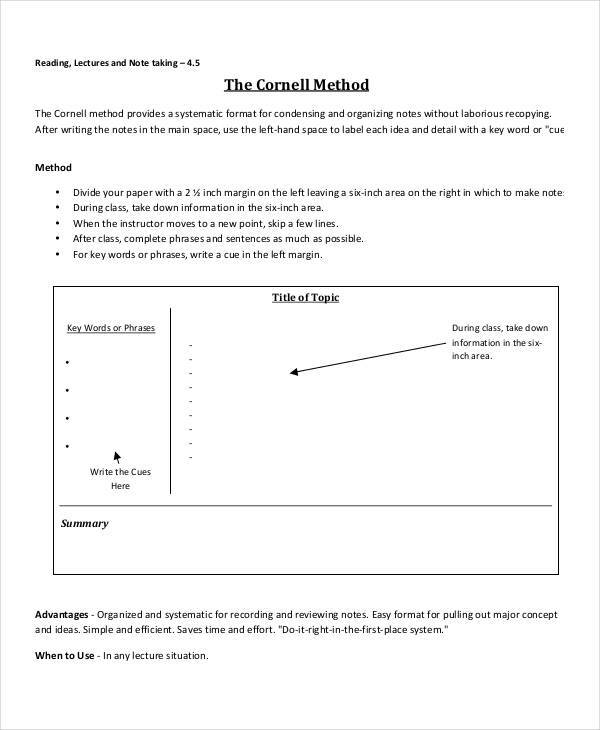 Briefing notes, for example, help management take notice of issues that needs to be reviewed. Notes have roles in business, no matter the size. What you see useless, can be significant for the management. Other types of notes such as a promissory note, not only in business, is one important note. Note taking while in a business meeting is usually taken for granted. Most people fail to know that notes like these can be beneficial. The notes bellow can help you in any endeavor. 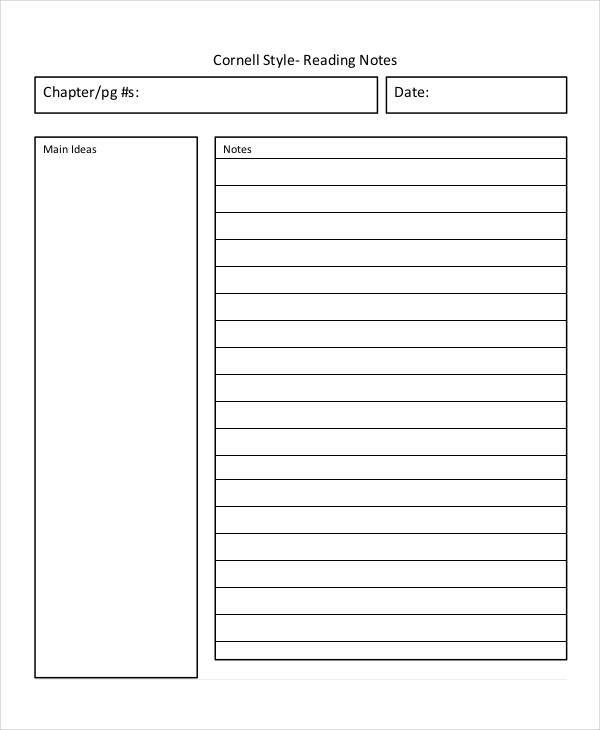 A Cornell note is a medical note -taking procedure that anyone can make use, whatever purposes it may be for. This note originally started in Cornell University by a professor named Walter Pauk in the 1950s. Cornell notes only takes note on what keywords or key phrases are important to remember. With each key there is a corresponding note that would help explain that point or phrase. At the bottom of all those notes is a comprehensive summary. If you are a beginner of this method, you can follow note examples in pdf or other types of files. 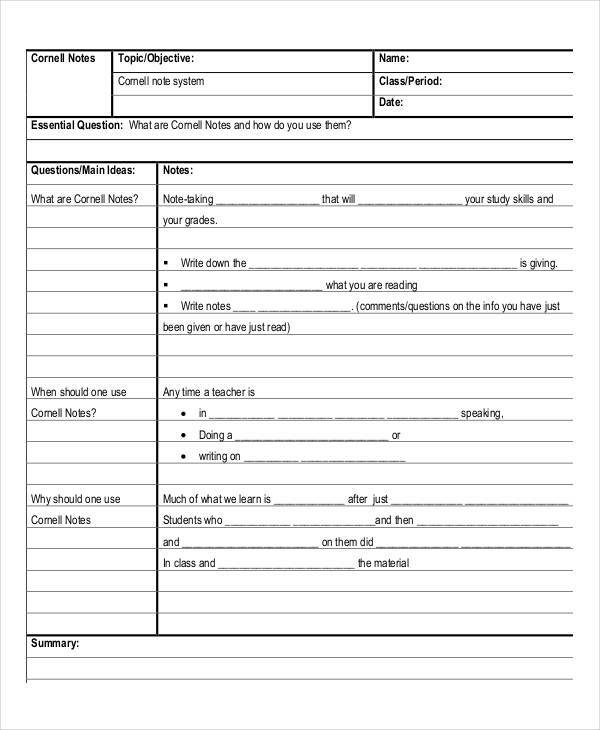 Who Can Use Cornell Notes? Notes can be prepared by anyone. For an instance, a software has been updated, release note examples can then be made by the people who made the updates. 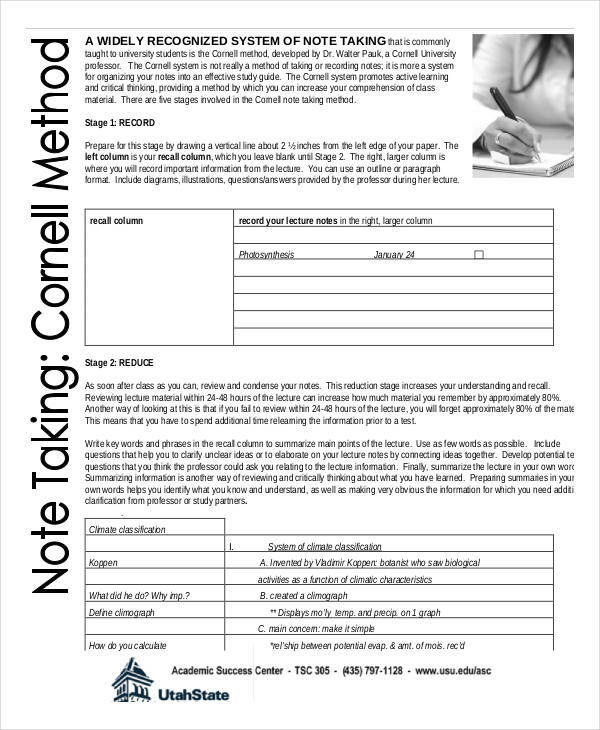 For Cornell notes, whether you’re a student, a professor, a manager, a businessman, a doctor or a journalist, you can use Cornell notes. 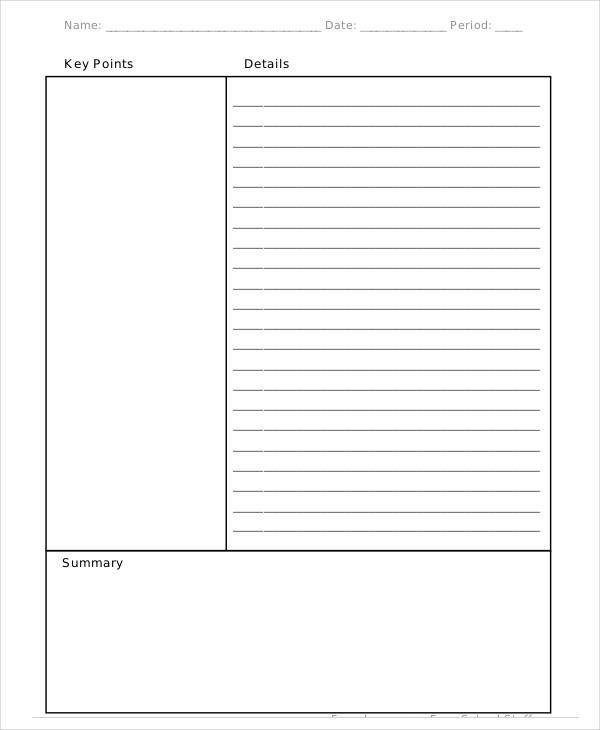 Cornell notes examples can help anyone in any field or expertise. 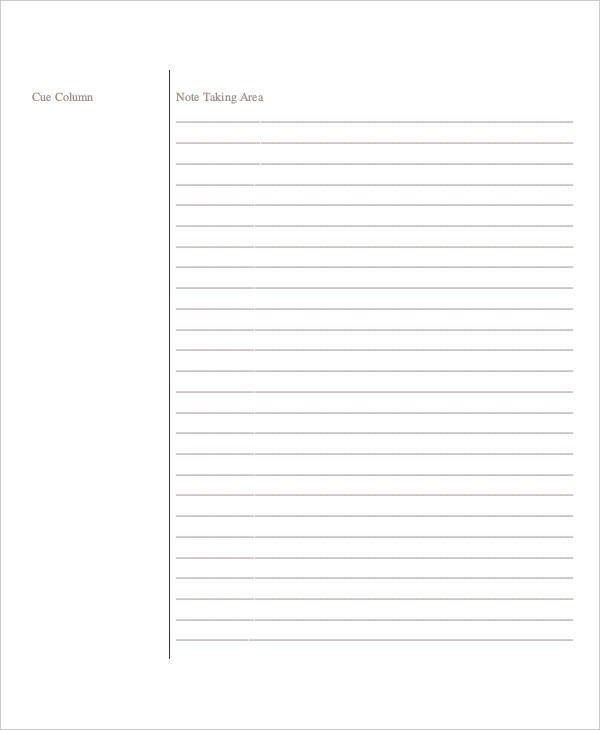 In a meeting, note takers or all of the audience can use Cornell notes. Cornell notes exists to assist note-takers to take only the information they deem relevant, relieving them from wasting valuable time. Just by looking at blank note examples, you can never appreciate what those notes are for. With Cornell notes, your life will be more simple. Why? 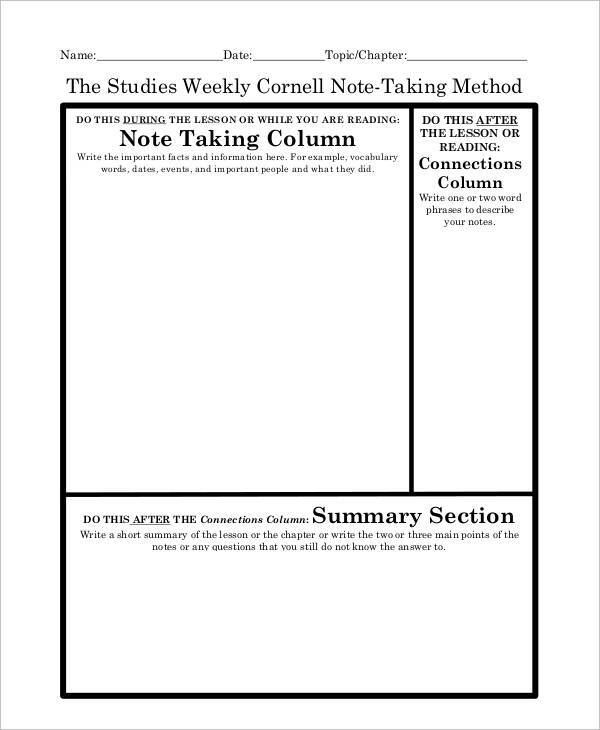 Cornell notes makes your notes a bit more organized. 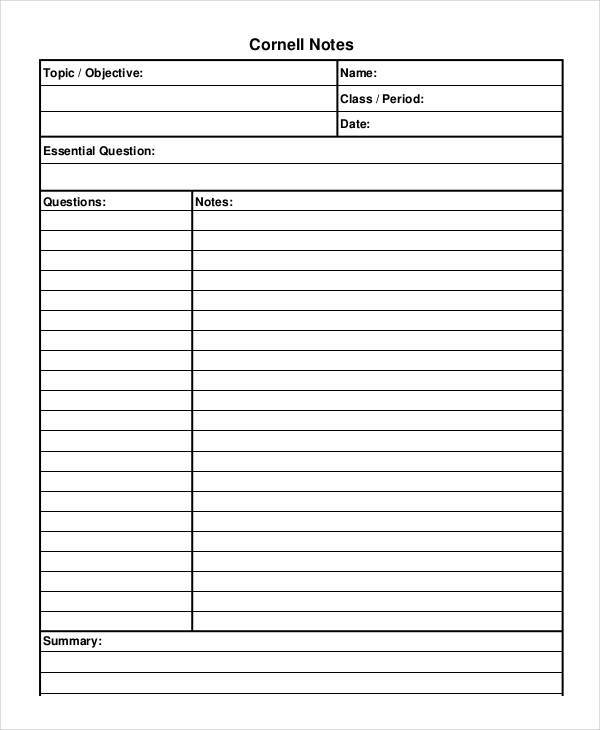 Cornell notes allows you to determine keywords and concepts more rapidly from a discussion or a lecture. For students, it can serve as a study guide where it is much easier to remember and saves more time allowing you to study more than one subject. 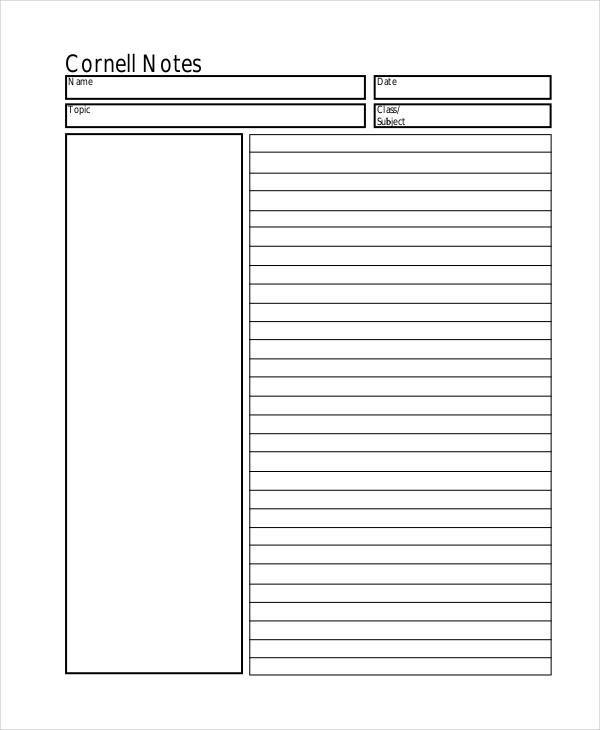 Cornell notes present a cleaner visual letting you navigate through the information much more easier. Divide the paper into 4 sections using lines: top, left, right and bottom. Top section includes the name or title of that note. Left section, at least two inches wide, is for keywords or phrases,which may be questions too. Right section contains all noted concepts and ideas discussed. Bottom section is a summary containing all the main ideas of the topic.